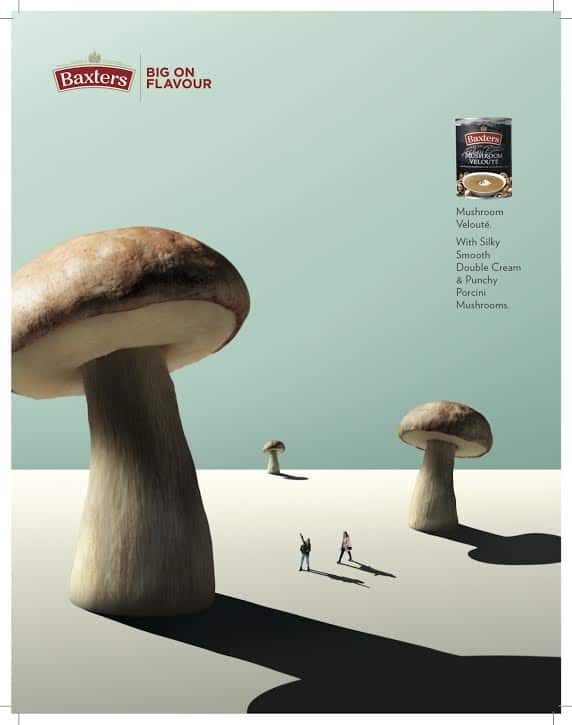 RKCR/Y&R is making its debut for new client Baxters with a three ad print campaign featuring two women in a landscape dominated by Baxters’ ‘giant flavours.’ A TV campaign will follow in January. Photography is by Gary Bryan. There have been a number of striking print campaigns recently, which is good to see when everything is supposed to be digital. MAA creative scale: 7. Might move up when we see the TV.